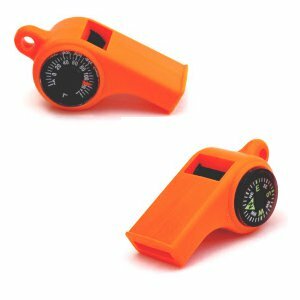 Mendota’s bright, crisp Sportsman Whistle has a few added features built right into the whistle; proof that sometimes the best things come in small packages! For starters, the whistle has a compass located on one side of it. The compass will keep you headed in the right direction. Secondly, the Sportsman Whistle features a built in temperature gauge. With these additional features, you’ll know where you’re headed and just how many layers to wear!